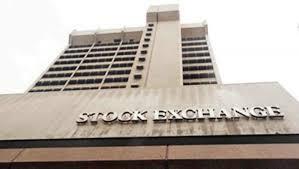 The Nigerian Stock Exchange (NSE) has launched a knowledge-platform called X-Academy to provide education services to individuals for better understanding of various aspects of the capital markets. Mr Oscar Onyema, NSE Chief Executive Officer said at the product launch in Lagos that X-Academy would help in strengthening financial literacy and enhance investment in the capital market. He said that X-Academy offered a wide range of courses geared towards bridging the knowledge gap of dealing members, issuers, investors and the general public about products and services of the capital market. He stated that the establishment of X-Academy was consistent with NSE tradition of pioneering far-reaching innovations within the Nigerian capital market. Onyema added that the product would feed directly into the National Financial Inclusion Strategy (NFIS) which was launched by the Federal Government of Nigeria in 2012 to reduce the number of adult Nigerians who were financially excluded, from 46.3 per cent in 2010 to 20 per cent by 2020. He said that the training programmes at X-Academy would provide individuals and businesses with a robust and effective array of training solutions that would ensure participants were abreast with trends in the rapidly evolving financial markets. “As a socially responsible organisation devoted to enhancing the fortunes of Nigerians and our investors, we are confident that participants of programmes offered by X-Academy will be better positioned to make informed financial decisions,” Onyema said. Ms Pai Gamde , NSE Acting Head, Corporate Services Division said X-Academy would enhance financial literacy in Nigeria and equip professionals with requisite skill set to deliver innovative solutions for the challenges confronting our financial sector. Gamde said that the programmes offered by X-Academy would be facilitated by seasoned and certified subject matter experts with both local and international exposure to practical experience. She said, “Partnerships with professional bodies to ensure that courses taken at X-Academy are awarded points under the Continuous Development Programmes of these bodies. “This initiative could not have come at a better time when the market is beginning to recover from the waning investors’ confidence. Gamde added that X-Academy would in 2017 offer programmes built around six broad themes, which include: Listings and Trading on the NSE, Products of the NSE, Market Data and Technology, Financial Education, Corporate Governance, and Risk Management and Compliance. She said that the first training of the X-Academy, titled Legal and Risk Aspects of Derivatives and Central Counterparty Clearing (CCP) Transactions, was scheduled for June 12 to 15 in Lagos.